Clara Brown was a kind-hearted, generous woman whose determination led her on a life-long quest to be reunited with her daughter. Born in Spotsylvania County, Virginia in 1803, her earliest memory was of being sold on the auction block. She grew up in Logan County, Kentucky, married at age 18, and had four children. At age 36 her master, Ambrose Smith, died and her family was sold off to settle his estate. Despite her continued enslavement, Clara Brown vowed to search for her ten-year-old daughter, Eliza Jane. For twenty years Clara worked for George Brown raising her new master’s children instead of her own. In 1856 she was freed upon Master Brown’s death allowing her, at age 53, to set out to find her daughter. Three years of searching in Kentucky, Missouri, and Kansas proved fruitless. Clara thought that perhaps Eliza Jane had joined the multitude of people that had gone to Pikes Peak hoping to find gold. Thus Clara’s search took her 700 miles west to the Colorado Territory gold fields. She had secured a job as a cook on a wagon train in exchange for the free transportation of her laundry pots. Her wagon train arrived in Cherry Creek, which was comprised of the rival twin cities of Denver and Auraria. There she set up a laundry business to serve the miners. After six months Clara left Denver and set up business in Mountain City (later Central City). Brown invested her earnings in real estate and acquired a small fortune. She became known in the community as “Aunt Clara” as she provided food, shelter, and nursing care to the townspeople. When the Civil War ended in 1865 Clara Brown returned east, first to Logan County, Kentucky and then, Sumner County, Tennessee in search of her daughter Eliza Jane. Brown offered her $10,000 in savings and earnings as a reward for news of her daughter. When her search proved unsuccessful Brown returned to Gilpin County, Colorado, bringing with her impoverished freed people she had befriended. In 1879, at the age of 76, Brown traveled to Kansas as an official representative of Colorado’s Governor Frederick Walker Pitkin who had offered to assist thousands of destitute “Exodusters” to relocate in Colorado. Clara Brown’s continual search for her daughter, her support for local churches and charities, and her financial assistance to young women who were educated at Oberlin College in Ohio eliminated most of her wealth. In February 1882, however, when Brown was almost 80 years old, she received news that her daughter, Eliza Jane had been located in Iowa. In 1884 79-year-old Brown traveled to Iowa to reunite with her 56-year-old daughter. The same year Brown became the first woman member of the Colorado Pioneer Association which also provided a stipend for her lifetime of good works. 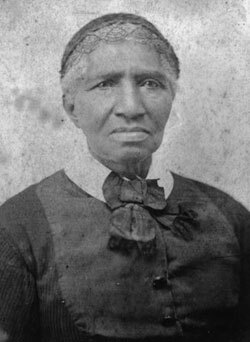 Clara Brown died in Denver, Colorado in 1885. Slightly over a century later Brown was inducted into the Colorado Woman’s Hall of Fame in 1989. Tricia Martineau Wagner, African American Women of the Old West (Guilford, Connecticut: The Globe Pequot Press, 2007); Roger Baker, Clara an Ex-Slave in Gold Rush Colorado (Central City, Colorado: Black Hawk Publishing, 2003).